This entry was posted in Food, Living, News and tagged Coffee, Convenience store, Family Mart, Latte, Latte art, Let's Cafe, Mobile Photography, Photo Glut, Taiwan by Jay Woodson. Bookmark the permalink. Thanks for the heads up, Taiwanvore. 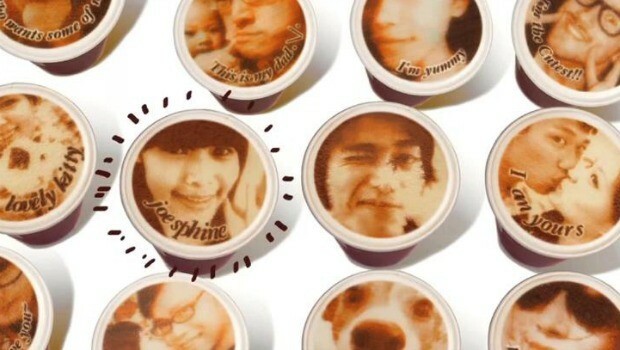 How said it is to know that I will be unable to print my beautiful face atop a latte. I wonder inf this technology will ever be picked up by other photo happy countries. Ahem…Korea? Sharing this with my local coffee shop! SO CRAZY! Great idea, and I was seriously stoked to try one of these until I came across your update. Very disappointed!!! Yeah I was bummed out as well. But happy that I didn’t go on a blank mission in search of them. Oh the fun that could be had.